Add a small table to your favorite chair giving yourself a place to set down a drink or good book. Beautifully detailed with natural slate inserts, the table will catch anyone's eye. 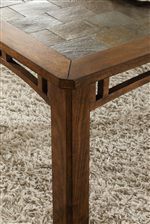 The frame and base of the table is finished in Sedona Burnished Oak creating rich, warms tones and features a shelf below. 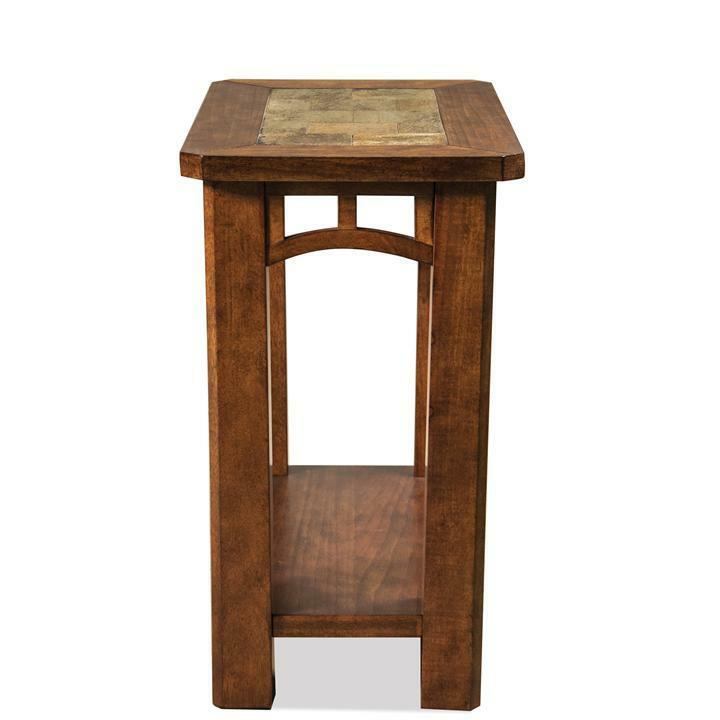 The Preston Chairside Table with Slate Top by Riverside Furniture at Rooms for Less in the Columbus, Reynoldsburg, Upper Arlington, Westerville Ohio area. Product availability may vary. Contact us for the most current availability on this product. The Preston collection is a great option if you are looking for Transitional furniture in the Columbus, Reynoldsburg, Upper Arlington, Westerville Ohio area. 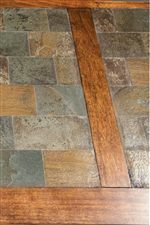 Squared Corners with Decorative Apron.